We all know that some drummers have a problem with alcohol. Some drink way too much and become unreliable time keepers. This can be a real disaster when you are trying to make it big or just trying to survive playing your music. 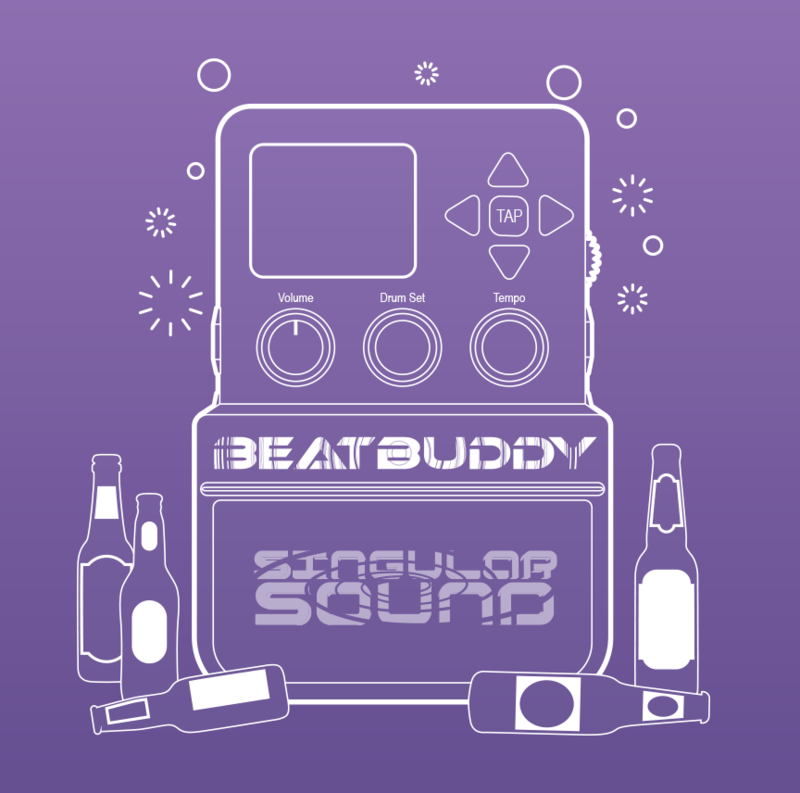 Well, Singular Sound has now a solution with the Sobriety Function of its BeatBuddy pedal! Sleep Mode: We created a sleep mode that puts the BeatBuddy in a low power state—just press the Drum Set and Tempo Knobs at the same time to enter Settings and select Sleep Mode. This will put your BeatBuddy to sleep until you're ready to jam with him again. Visual Metronome while Stopped: Many players have told us that they begin some songs by playing alone and then bring in the drums after an intro —we created a setting where the visual metronome is active while in stopped mode so you have visual tempo cue of the drums until you bring them in. 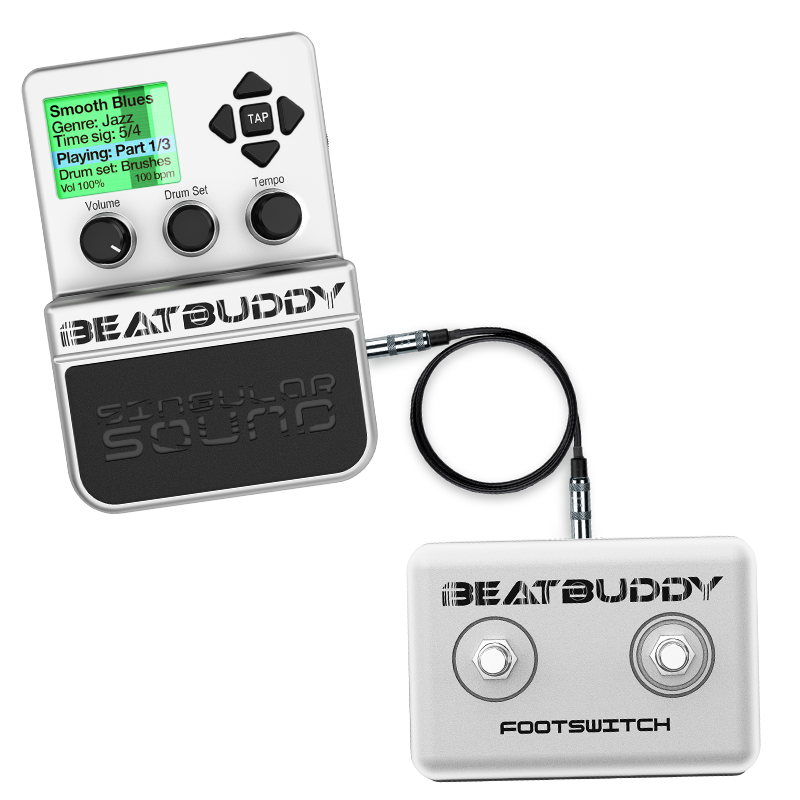 Complete MIDI Control: One of the most common requests we have gotten is for full MIDI support so that the BeatBuddy can be integrated with other systems, programs and devices. We have worked extensively to map (with MIDI CC Controls) every function of the BeatBuddy to MIDI so that you guys can have the most powerful possible tool and use it in creative ways. Until the next article, keep on playing the guitar !